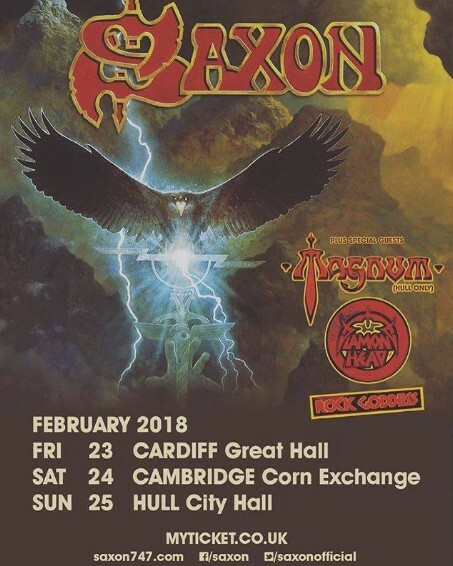 Fan-filmed video footage of SAXON's February 24 performance at Corn Exchange in Cambridge, England can be seen below. SAXON's 22nd studio album, "Thunderbolt", was released on February 2 via Militia Guard (Silver Lining Music). The follow-up to 2015's "Battering Ram" was once again helmed by producer Andy Sneap, who has previously worked with JUDAS PRIEST, MEGADETH, ACCEPT and TESTAMENT, among others. The disc features original artwork by longtime SAXON collaborator Paul Raymond Gregory. 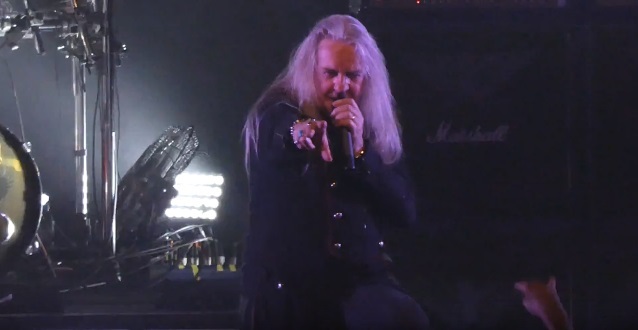 SAXON frontman Biff Byford told Dead Rhetoric about the upcoming tour: "I suppose we were out with JUDAS PRIEST and MOTÖRHEAD in 2015 for a few shows in North America — we've done fairly good gigs with them. But there's nothing like having a fantastic package together for the fans. You have to remember that when it comes to SAXON, the fans are the most important thing to us, especially when we are touring. We just feel that this package — especially JUDAS PRIEST and SAXON — is iconic. The first tour we ever did in Europe was with JUDAS PRIEST in 1980, so we've been friends with them ever since. The three bands are a great bill for the fans to see, the people seem really excited about the new album and about the tour, so we are looking forward to it."